Employees typically have two types of work goals: those that are handed to them and ones they’ve had a part in creating. Ideally, your direct supervisor invites you and encourages you to develop the goals for your position. You then periodically review them together. Progress towards those goals becomes a basis with which to have a productive conversation about needs, issues, and opportunities. Some may ask, what’s the difference between having your goals forced upon you or helping to create them? The difference is that in one scenario you have understanding to support ownership and accountability; in the other, you don’t. Typically, when a goal is tied to performance and feedback without your buy-in, you lack understanding of the why behind it. When you don’t understand why a goal is important to the company, to you, or why should you care about it, you’re less likely to have a vested interest in accomplishing it. On the other hand, when you play a part in coming up with your goals you’re more likely to take ownership of them. You might even try to exceed them rather than just meet them to check the box or please your boss. The more you believe the goals are right for you and that they will directly influence the mission of your organization (that you hopefully also understand and support) the more you will approach the tactics associated with the goal with enthusiasm and creativity. This is a big factor in “it’s just a job” syndrome vs “I love my job” attitude. Whether you’ve helped create your goals or they’ve been handed to you, ask yourself the following questions to help ensure they are the right goals for you and your organization. You can then use this info to have an informative discussion with your manager about your goals. Does the goal directly support your biggest strength? The answer to this question is an indicator if it is the right goal for you. Does the goal align to the mission and high-level goals of the organization? The answer to this question is an indicator if it is the right goal for the organization. Does the organization have all the existing resources to meet this goal? If not what else is needed? These questions let you know if meeting the goal is currently possible. What do you need to be able to tell if you are on track to meet the target of the goal on a weekly basis? The answer to this question lets you know what measure you’ll need to monitor to ensure you’re on target to meet the goal that will also provide information for proactive discussion with your manager so there are no surprises when the goal due date or next review arrives. What/who do you need to be held accountable for this goal? According to The American Society of Training and Development (ASTD) having accountability beyond yourself can make you 65% to 90% more likely to complete a task. On a scale from 1 (low) – 5 (high) how good do you feel about this goal? If the number is low, what would make it higher? Asking these questions helps gauge how confident you are about the goal. Higher confidence leads to higher chances of success. What to do at this point? If you are an employee without goals, check with your direct manager and work on them. If you have goals that were handed to you, see if you can invite your boss to review them with you. If you’ve handed goals down, put some time aside to go over the goals with your direct reports and make sure they understand the why. Why the goal is important to the company, why it is important to that position, and why they should you care about it. Finally, don’t just do this once. Make it a habit to review goals with purpose and intent on a regular basis. Over time you’ll find that you and your teams are meeting and exceeding more goals that you had in the past. 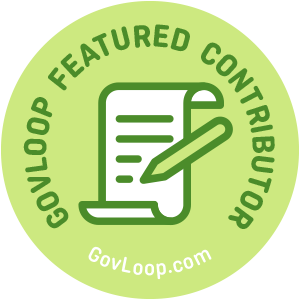 Laura Thorne is a GovLoop Featured Contributor. She is an organizational improvement consultant. She specializes in helping business owners and individuals to be more effective. 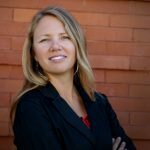 Laura has over 25 years of professional experience and has had opportunities to work with some of the best and worst performing organizations. Read her posts here.